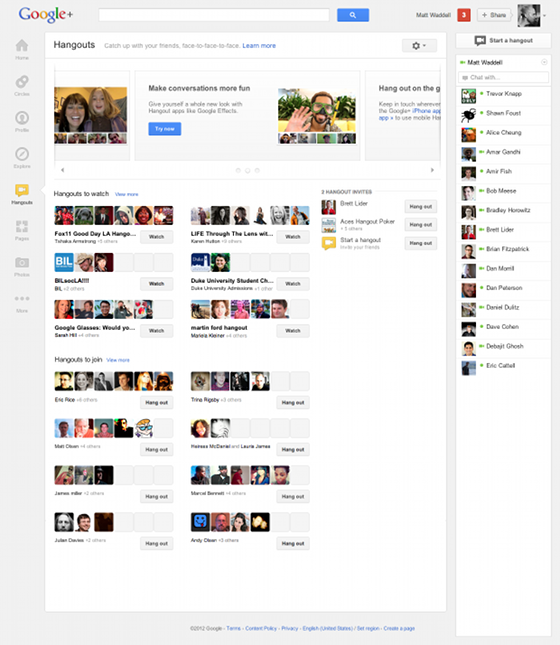 Noticed anything different about your Google+ homepage today? 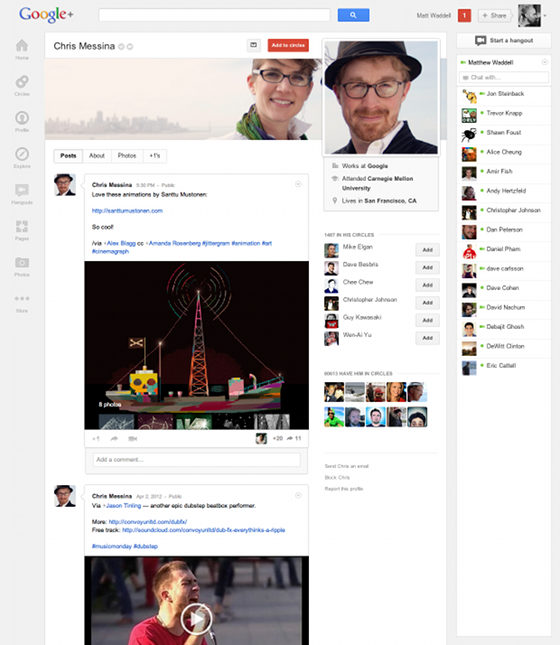 Google announced a while back it was going to redesign its Google+ social network. At the same time, the company announced that Google+ now has some 170 million users, up from an estimated 62 million in January. The Official Google Blog announced that they were introducing a more functional and flexible version of Google+. 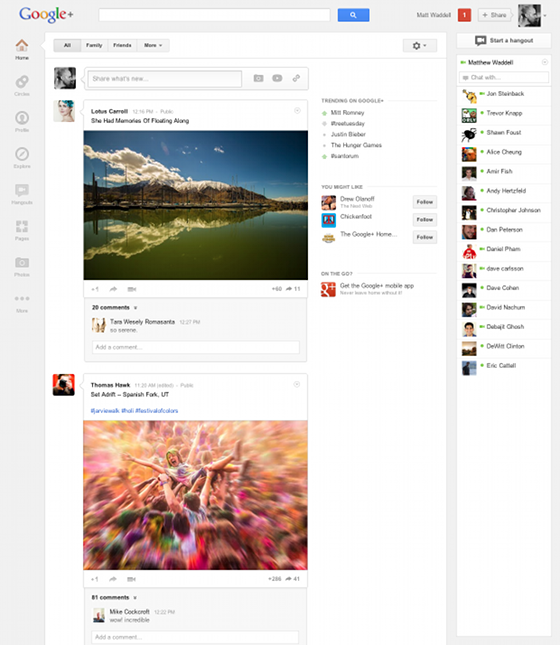 Basically, saying that Google+ now should be more easier to use and nicer to look at. "Taken together, these powers make it easier to access your favorites, and to adjust your preferences over time. We've also built the ribbon with the future in mind, giving us an obvious (and clutter-free) space for The Next Big Feature, and The Feature After That. So stay tuned." Today's Google+ update extends beyond navigation, the stream and hangouts. For instance: there's a new Explore page that shows what's interesting and trending across the network. And a new profile with much bigger photos. And a new chat list that puts your friends front and center. And a whole lot more. So what are you waiting for? Check out the new features for yourself on Google+! I think the new layout will take some time to get used to, but I think its great that Google will keep on continuing to add more features that make our life easier.